A modern hotel in a converted 1920s Art Deco building with a stellar view of the Chicago skyline - that&apos;s The Robey. Published Nov. 26, 2018 at 12:02 p.m.
Every city has its history, but from its first native settlers to du Sable's cabin; to Daniel Burnham, Frank Lloyd Wright and Mies van der Rohe; to John Dillinger and Al Capone; to the Black Sox and the Devil in the White City; to Haymarket and the 1968 Democratic National Convention – not to mention Mrs. O'Leary's blasted bovine – Chicago boasts a story so rich and mythologized that a trip to the city almost demands exploring at least a bit of it. Here are a few suggestions for places and experiences that can help open up Chicago history even on a brief visit. Of course, there are many other museums, tours and other options, but this should get you moving. Click the links to see related stories about quick trips to the Windy City. They say that the greenest building is one that already exists. That means recycling and reusing a vintage gem is always better than tearing down and starting anew. 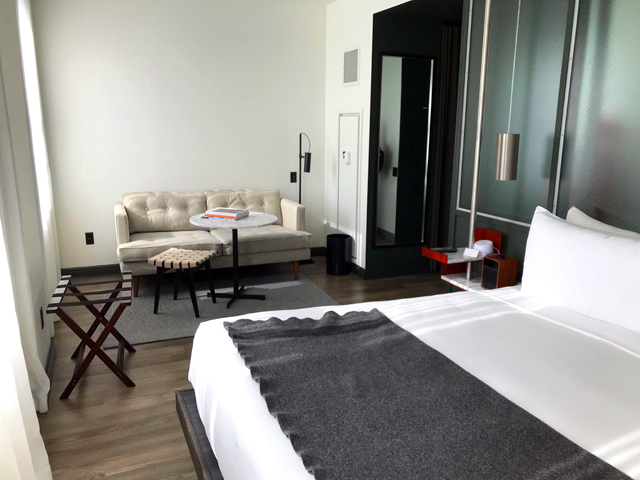 And if you're looking for proof, just check out Grupo Habita's The Robey hotel, 2018 W. North Ave., on the border of the lively Wicker Park and Bucktown neighborhoods. 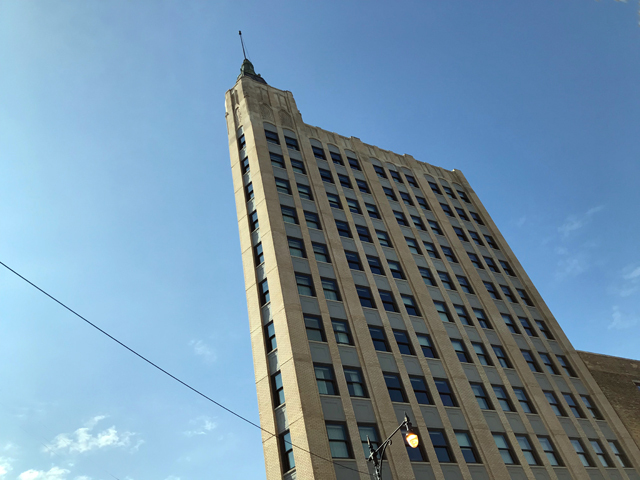 The 12-story, triangular, Art Deco office building is the tallest thing around, so not only will you never have to worry about finding your back after you wander the neighborhood, it also offers some amazing views of the downtown skyline, especially from the rooftop bar, but also from many of the rooms. 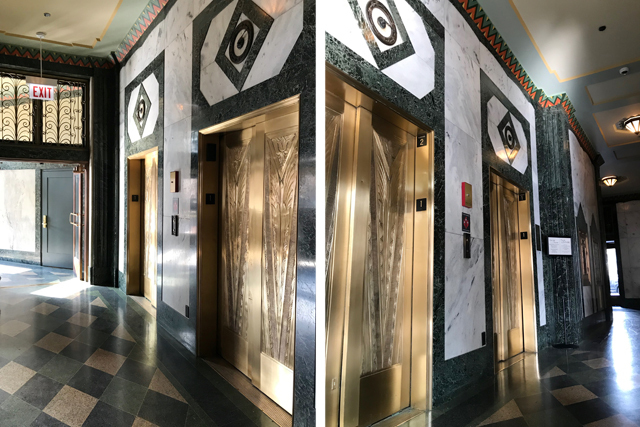 The lobby of the 1928-29 tower – designed by Chicago's Perkins Chatten & Hammond for the Milnoro Building Corp. – is small but stunning, with ornate brass elevator doors, wrought iron transom grilles, painted ceilings, marble walls and terrazzo floors. Outside, there are decorative reliefs near the top and panels depicting swans above the street-level windows. The rooms, which have quirky shapes thanks to the building's footprint, feel modern and classic at the same time thanks to interior frosted chicken wire glass windows separating the bedroom from the bathroom. In terms of amenities I especially enjoyed the best blackout shades I've ever seen and the fact that the minibar items are included with the room. 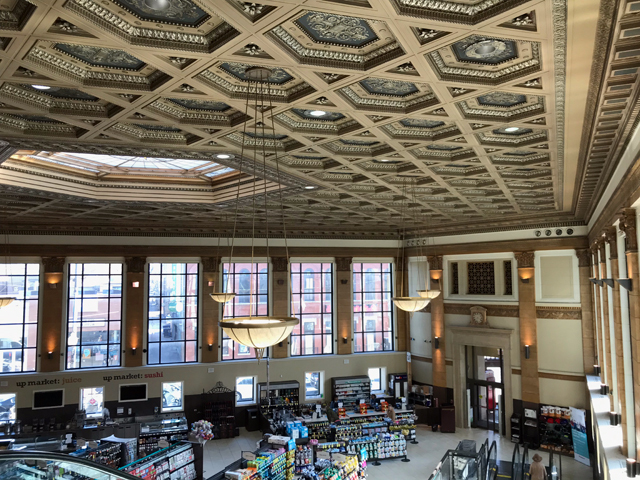 Don't forget to stop in to the former bank building directly across the street, which has been converted into what is surely the world's loveliest Walgreens. Some other good modern hotels that occupy historic buildings – there are quite a few in the Windy City – include the Palmer House (though it was purpose-built as a hotel), the Langham, the Intercontinental, the Chicago Athletic Hotel, The Alise (formerly The Burnham) and the new St. Jane, located in the Carbide and Carbon Building. There's also a Dr. King exhibit up and ones that explore modern design and the 1933 World's Fair. Check out the web site, too, to see some interesting online-only exhibits, too. 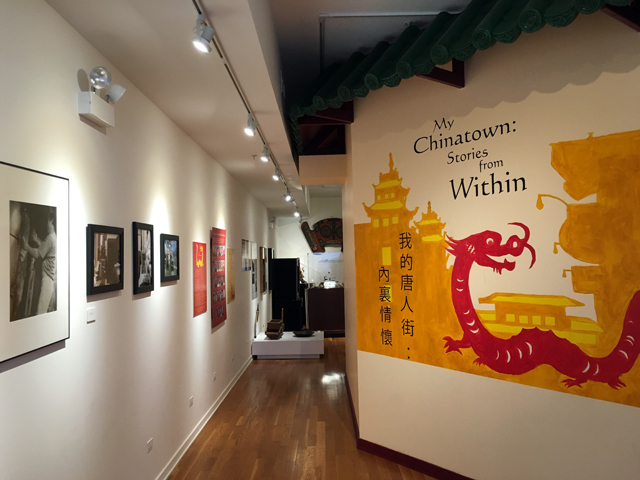 As I've written in the past, when we visited a couple years ago, my kids and I loved this small museum, tucked away on a side street off Wentworth Avenue in Chinatown. An interesting and informative video brings life to the neighborhood's history and people, as do a series of exhibits with old photographs and memorabilia, as well as a detailed look at wedding traditions. Afterward, a museum staffer not only told us about three traditional Chinese children's games, he taught us how to play them and then we all played them together. Beautiful. Founded on the West Side by Jane Addams and Ellen Gates Starr in 1899, Hull House settlement house provided support and services to recently landed poor immigrants from Europe, teaching English, academic subjects, domestic skills like cooking and sewing and offering a variety of clubs to children and women. 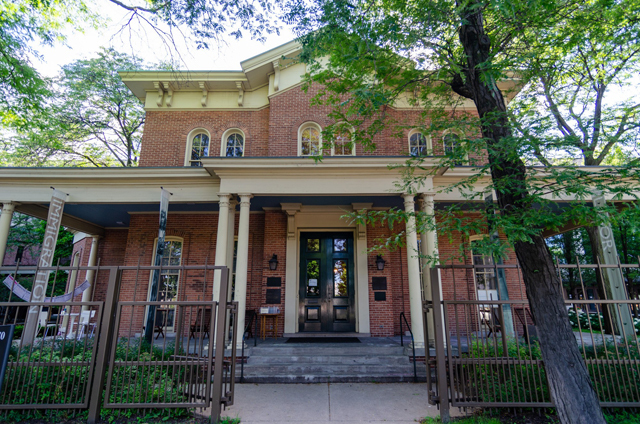 The settlement house, with its gym, music school, bathhouse and other amenities, boomed and ballooned to nearly a dozen buildings within a dozen years and Addams' work was recognized around the world, thanks in part to her memoir, "Twenty Years at Hull House." 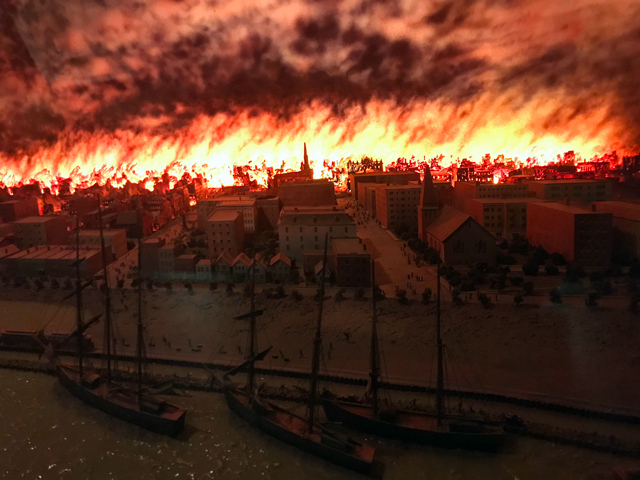 The museum occupies two of the original buildings – the rest of the neighborhood having been engulfed by the University of Illinois-Chicago – and offers education and other programming, a variety of changing exhibits and research facilities, too. Check it out, but, I suggest you hop a Blue Line train to get there as street parking is basically non-existent, though there are university parking lots nearby for a fee. 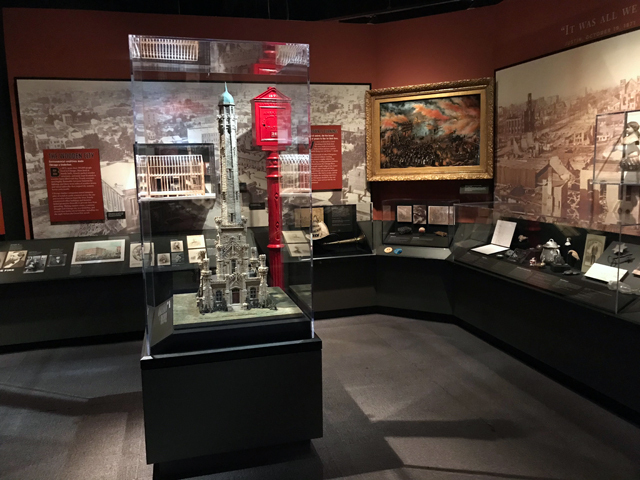 I highly recommend this riverwalk museum for its mix of historical photos and information about the river and how the city arose around it, alongside the opportunity to get underneath the bridge to see the massive gears and other inner workings of the Michigan Avenue bridge. If you can plan your trip for the annual October weekend when Chicago hosts its own version of what in Milwaukee we call Doors Open, do it. There are tons and tons of places you can peer into, tour and explore for free. It's an unbeatable way to dig deeper into Chicago history and historical places. 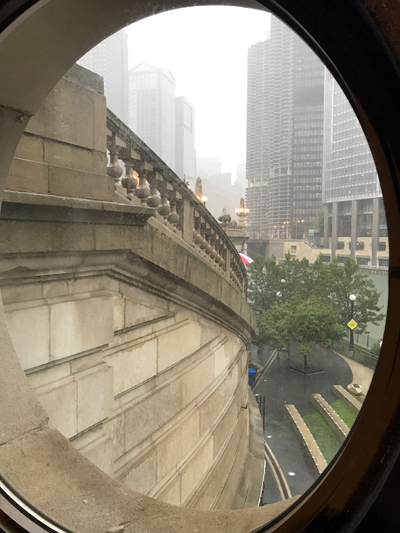 The Architecture Center, now in new riverfront digs on Michigan and Wacker, offers a slew of tours that offer great introductions to Chicago and its history and its history-making architecture. Some are on foot and others are on boats. A few years ago, I took one of my kids on the hour-long "Evolution of the Skyscraper" tour. As I noted the, it wasn't too long for little legs, and a knowledgeable guide walked us through the development of building upward, starting with small multi-story buildings and moving through the landmark Monadnock Building (above) – the 16 floors of which tested the limits of masonry-load construction – to early steel framed structures, then exploring stylistic changes, from art deco to international style to post-modern and beyond. Chicago for Chicagoans and Ben Archer's Been There Tours also offer solid walking tours of the city. The former digs especially deep into the neighborhoods outside downtown with diversity-focused, pay-what-you-can tours. And, as my friend and Chicago tour guide Wendy Bright suggests, "keep an eye out for historic markers and signs everywhere – incredible bits of history dot the city. The honorary street names, too. All along the river, the bridges, there are dozens of markers, sculpture, signs that tell the city's story."